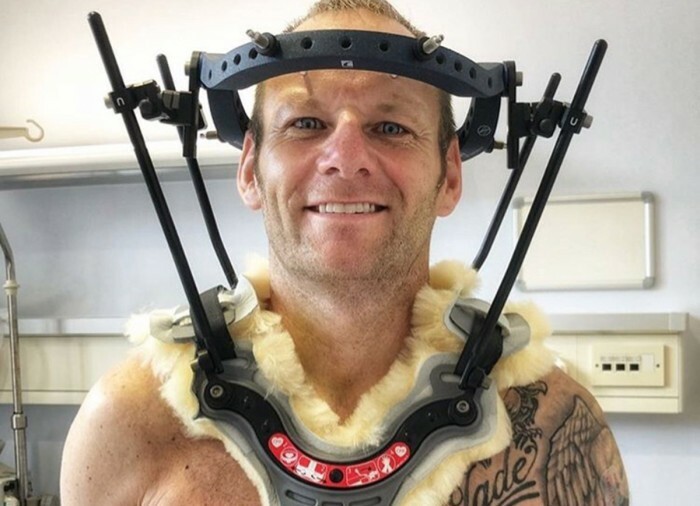 Reigning Bennetts British Superbike Champion Shane Byrne has released a picture of the halo he will wear for the next three months after suffering a broken neck in a Snetterton testing crash. 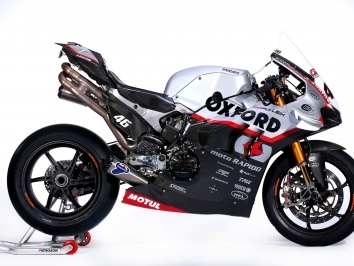 The Be Wiser Ducati man is now mobile after surgeries on his spine and spending time in the critical care unit at Norfolk and Norwich Hospital. Byrne posted on Instagram: “A preview of the next three months of my life. My head’s now fixed completely solid in my halo in order to give my broken neck the best possible chance of healing naturally and retaining some movement.